Because Halloween is just around the corner, yes I know its been a poor show on the blog this year. I am subliminally making more reduced sugar treats. Then of course Halloween is followed by two months of parties and pure indulgence. I feel like I am prepping my waistline for the onslaught with this Reduced Sugar Apple Banana Bread. I am not complaining about it because this bread is packed full of tart apple flavour, warming spices and of course sweet banana. I used a big ol’ Brambly cooking apple for this recipe. They are tart in flavour and cook up wonderfully. But I have a feeling this may be a British thing, so if you have no access to brambly’s then any tart apple will do. I would recommend Granny Smiths as a replacement, just grate it up including the skin and throw it in. I used a combination of cinnamon, allspice and a touch of nutmeg for this reduced sugar apple banana bread. All three spices imparted a lovely warming flavour to the bread. None of them were over powering and each one compliments all the flavours perfectly. 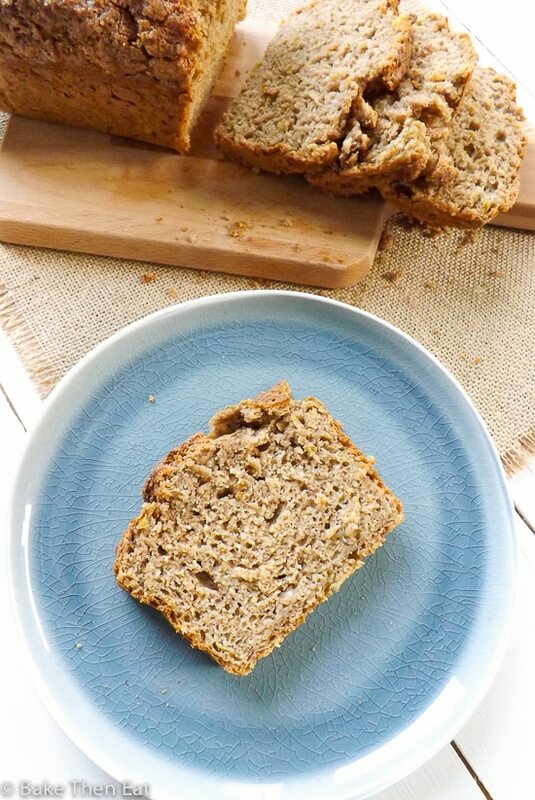 Everything else in this reduced sugar apple banana bread is as you would expect it to be. Flour, baking powder, baking soda, vanilla, milk, mashed banana and oil. I used olive oil but use a cheaper oil like vegetable, canola, rapeseed if it’s easier for you. Any type of plain flavourless light oil will do. Vegetable, rapeseed or canola oil will work perfectly. Other then that welcome to mine and hopefully your new breakfast obsession. 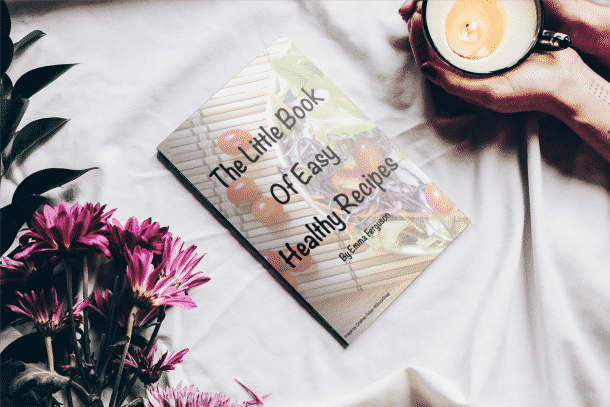 Reduced Sugar Apple Banana Bread is a healthier version of banana bread, using apple and banana to naturally sweeten the bread. Lightly spiced using cinnamon, allspice and nutmeg. Preheat your oven to 180C / 350F / Gas mark 4 and lightly grease or line a 2 pound loaf tin. Place it to one side. In a small bowl add in the flour, baking powder, baking soda, spices and salt. Gently whisk it all together until everything is well combined. In a larger mixing bowl add in the sugar, oil, vanilla, milk, eggs, mashed banana and grated apple and mix everything together. Pour the dry ingredients into the wet ingredients and with a gentle hand mix until everything is combined. Pour the batter into your prepared tin and pop it into your hot oven. If you have a fast oven check your bread at the 40 to 45 minute mark. Insert a pick and if it comes out clean then your bread is done. If not pop it back into the oven for another 5 to 10 minutes. Once fully baked take you loaf out of the oven and allow it to sit in its hot tin for 10 minutes to firm up. Then take it out and place it on a wire rack to fully cool down to room temperature. Kept in an airtight tin this bread will be good for 4 to 5 days. This bread also freezes well and will keep for 3 months. Defrost thoroughly in the fridge overnight. I used light brown sugar but coconut sugar works well if you wish to stay away from refined sugars all together.Any kind of milk can be used, I almost always use unsweetened almond, but cows, rice, soya, coconut all work here.I used olive oil but any light flavourless oil can be used - vegetable, sunflower, rapeseed or canola.If you want to eat half now and freeze half then you can. Slice the remaining loaf up and wrap each slice well and pop them in the freezer, then just take a slice out when you want it. Use within 3 months. Absolutely loving this reduced sugar apple banana bread recipe. I love how pretty this looks. Never had this combo in a bread, but I am sure it tastes so delish. Would love to give it a try sometime. 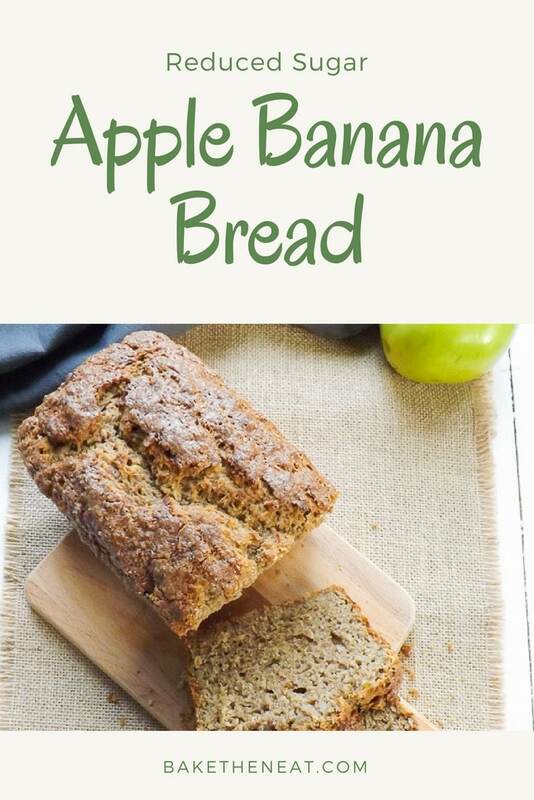 What a delicious bread you created, love the combo of bananas and apples, pure genius. Love banana bread and how clever to add apples to the mix – still have plenty of apples from our garden so this recipe comes just at the right time 🙂 Have a great weekend! 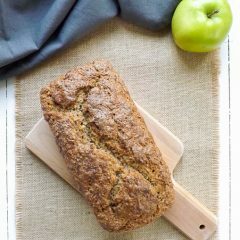 Love quick breads, and apple and banana are my favorite ingredients to include in one. This looks terrific — and I need all the healthy stuff I can find! 🙂 Thanks so much. Thanks, John. 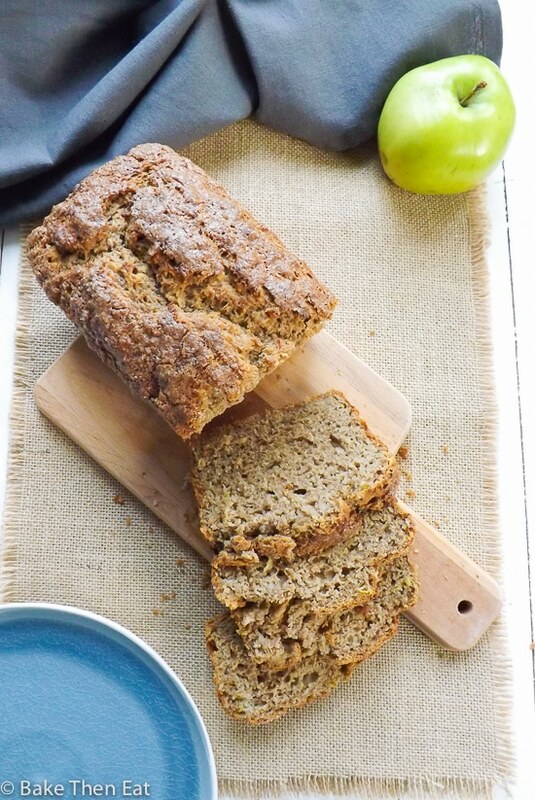 Apple and banana work great together in this bread. Since I can’t cut back on sugar completely less always work for me. I am loving this apple bread. Lol I am the same Balvinder. I could never completely quit, so I try to compensate and cut down a little every now and again. i love the way this bread looks! it’s soft enough to rest your face on but sturdy enough to hold onto some butter–bravo! Thanks, Grace 😀 the crumb on this one was absolutely perfect soft and fluffy! i love how crusty and crunchy that top looks! making reduced sugar things sounds like a good idea, since thanksgiving is almost a month away (crazy to think it’s almost that time of year again!). I know!!! I am glad I am not the only one who is surprised that the end of the year will soon be upon us! Hahaha I am right there with you! I feel like the next few months are so indulgent I need to prepare myself now! Loving this recipe though! SO perfect for Autumn and it comes with a lack of sugary guilt which I am all for!! 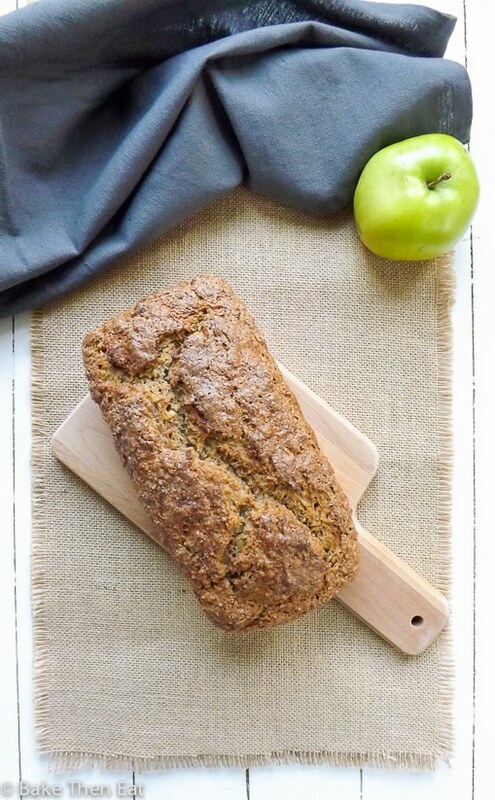 I love a good apple bread and one without all the sugar is even better! I’d definitely love a couple slices for breakfast! Thanks, Liz a good apple bread is hard to beat. Haha! I totally feel like I need to diet right now in preparation for the holidays :). This bread sounds DELICIOUS! Thanks Kelsie, I know, I completely need to watch myself so I can treat myself over Christmas and not feel guilty lol. I bet grating the apple in this bread makes it really moist. This time of the year is always a pleasure but also a waistline challenge. Glad to see your bread is the healthier version. It certainly is a challenge to keep the waistline in check! Recently, I made some banana bread using organic sugar and it tastes a lot better than the processed sugar you buy. Hi Ruth, I agree organic produce really does taste better. Hi Ashika, apples are great in banana bread, it helps to keep it moist! I love slicing quick breads up and freezing them and using them for a quick breakfast or mid morning snack as they defrost in my handbag! Don’t like overly sweet treats, so less sugar is always better for me. 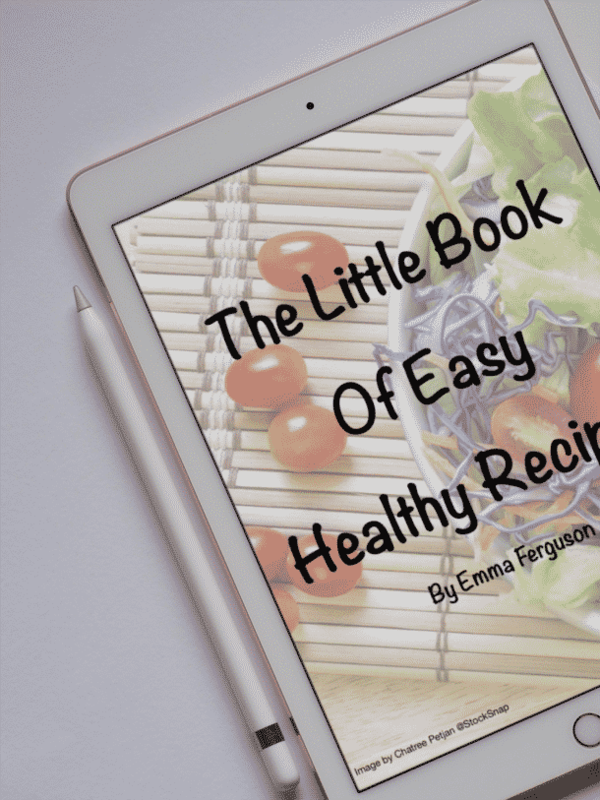 The quick bread looks so moist and delicious, Emma. Thank you Angie, I like the fact it really isn’t sweet and that it is great for breakfast.